When I started writing about the very earliest history of South African wine a couple of months ago, I ruffled a few feathers with my description of the French Huguenots as ‘vastly over-hyped’ (see here). I was merely trying to make the point that, far from the Huguenots having ‘introduced’ winegrowing at the Cape (as is often claimed), grapes had been grown here, and wine had been made, for decades before their arrival from 1688 onwards. To summarise: Jan van Riebeeck was the Cape’s first winegrower in the 1650s, most notably at the Bosheuvel (Bishopscourt). 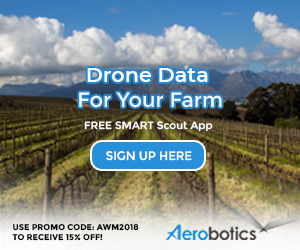 His German successor as commander, Zacharias Wagenaar of Dresden, took an active interest in the Bosheuvel vineyards but focused most of his attention during the 1660s on planting vines at the Rondebosje (Rondebosch) – not forgetting the role played throughout this period by slaves. By the late 1660s the Cape already had a leading winemaker, Jacob Cornelisz van Rosendael, who had purchased Bosheuvel in 1665, and in the 1670s and 1680s many callers at the Cape were describing the wine in favourable terms (tasty, very good, pleasant, delicate…). The Cape’s tenth commander, Simon van der Stel, was less impressed when he arrived in 1679, finding much of the wine to be ‘harsh’. He duly issued decrees that imposed penalties on growers who harvested unripe grapes or used dirty barrels, and he repeatedly asked his Dutch East India Company (VOC) directors, the Lords XVII, to send out more people with knowledge of winegrowing (while he set about leading by example on his own farm, Constantia, which was granted to him in 1685). 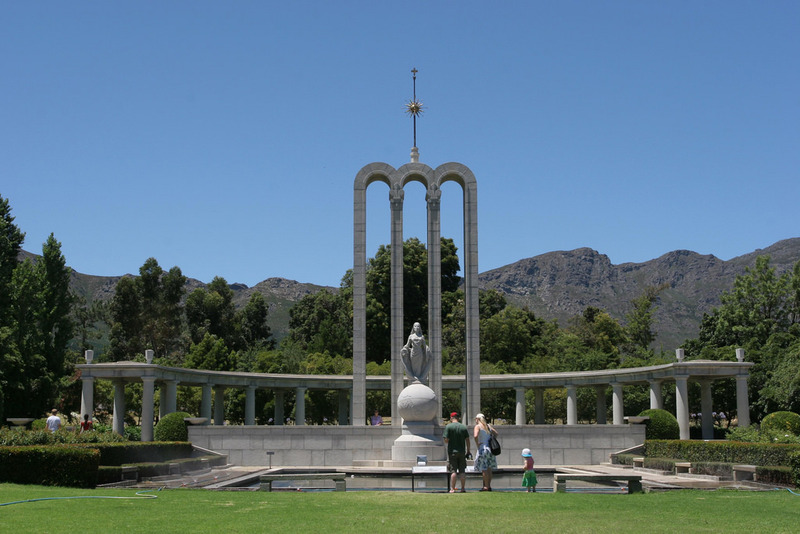 The Huguenot Monument in Franschhoek. When Louis XIV of France revoked the Edict of Nantes on 22 October 1685, forcing hundreds of thousands of Protestants into exile – many of them to the Netherlands – the Lords XVII thought they had a solution for Van der Stel. In a letter dated 16 November 1687, they informed him that, among a group of French refugees who would soon be arriving at the Cape, there were ‘vine cultivators as well as those who understand the manufacture of brandy and vinegar’. It’s worth noting quickly that these refugees weren’t the first Frenchmen at the Cape. Francois Villion, a wagonmaker from Clérmont in Auvergne, had arrived in 1671 and was allotted the Stellenbosch farm Idas Valley in 1682 (although the official title deed was only granted in 1692, three years after his death). Similarly, Jean le Long from L’Aigle in Normandy had been allotted ‘Bossendaal’ in 1685, although the title deed was only officially granted in 1713. And the brothers Francois and Guillaume du Toit from Lille in Flanders had put down roots in South African soil in 1686, between them eventually owning the farms Klein Bosch, Schoongezicht and Palmietvallei in Daljosafat (Paarl), and Soetendal and Lemietrivier in the Wagenmakersvallei (Wellington). 1688 saw the arrival of 138 French refugees, with a further 20 arriving the following year. By 1692 there were 201, swelling the number of vrijburghers considerably – to 856 men, women and children in total. By 1702 there were 229 French settlers, out of a total vrijburgher population of 1,368. 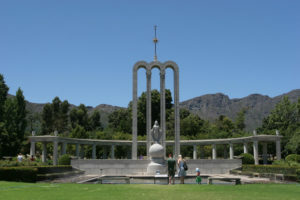 While a few of the Huguenots were given land in or near Stellenbosch, most were settled in the area between the Wagenmakersvallei (Wellington) and Olifantshoek (soon referred to as the ‘French Corner’ or Franschhoek), interspersed between Dutch farmers to promote integration – and, indeed, by the time the French astronomer Nicolas Louis de la Caille visited the Cape in 1752, he found that no Huguenot descendant under the age of 40 could speak French. On 22 April 1689, Van der Stel reported to Lords XVII that the refugees would have to be helped for three or four years as their lands had ‘never been cultivated or disturbed since the creation of the world and so have to be cleared of all wild and useless weeds and bushes’. So who were these 200-odd men, women and children? They came from all over France, including provinces where no wine was produced, and the men included carpenters, tailors, shoemakers, hatmakers, blacksmiths, locksmiths, swordmakers, bakers, drummers, farriers, tanners and merchants – many of them highly trained, and generally speaking better educated than the ‘rough churls’ who’d typically arrived at the Cape as illiterate soldiers and sailors ever since Van Riebeeck’s time. The three brothers, Pierre, Jacques and Abraham de Villiers who hailed from Bar-sur-Seine in Aube, then situated in Burgundy (under the Ancien Régime), and who arrived aboard the Zion on 6 May 1689 with a glowing endorsement from the VOC’s Delft chamber: ‘We are informed that these persons have a good knowledge of laying out vineyards and managing the same. You are recommended to give them a helping hand.’ Initially the De Villiers brothers farmed together on land named La Rochelle before being allocated three adjacent farms: Champagne, Bourgogne and La Bri. Eventually Abraham became the biggest landowner in the Dwars Valley, owning Boschendal (which he sold to Jacques in 1717), Meerust and Lekkerwijn, where he died in 1720. 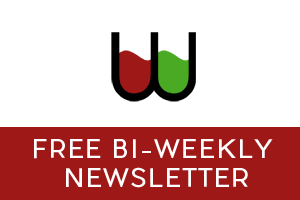 So was there immediately an improvement in wine quality following the arrival of the above-mentioned individuals, and others from wine-producing regions of France? With the very notable exception of sought-after Constantia wine (initially produced by Simon van der Stel, followed by Johannes Colijn of Klein/Hoop op Constantia in the 1720s and 1730s), Cape wine was not highly regarded throughout the entire period of VOC rule (until 1795). Nonetheless, it is an indisputable fact that some farmers of French Huguenot descent did accumulate considerable wealth, which historians such as Pieter Coertzen attribute to ‘hard work and an enterprising spirit’ rather than to specialist knowledge brought over from the homeland. However, I’ve recently come across a working paper by Stellenbosch University economics professors Johan Fourie and Dieter von Fintel, who use data from the opgaafrolle (household-level censuses drawn up annually for the purposes of tax collection) to show that while there was initially little difference (in terms of wine yields) between non-Huguenot farmers, Huguenots from wine-producing provinces and Huguenots from non-wine provinces, from 1719 onwards the Huguenots from wine-producing provinces did take the lead, and increasingly so over the generations. Fourie and Von Fintel argue that the ‘specific skills’ of viticulture and winemaking (as opposed to the more generic knowledge required for wheat farming and bread-making) were transferred from father to son through extensive learning-by-doing, and did not tend to disseminate into the broader farming community. Tactics? Transfer of knowledge? Terroir to which they slowly but surely grew accustomed? Whatever the case, and regardless of quality back then, the Cape wine industry is all the richer – to this day – because of the French refugees who put down roots and prospered. Great stuff again Joanne! Love it! I really enjoyed your account of the French Huguenots’ role in kick-starting the South African viticultural industry as a whole. However, we must not forget the huge contributions to our viticulture by the descendants of those original French Huguenots, and I have specifically one in mind, and he was Abraham Izak Perold (1880-1941), the creator of our beloved Pinotage. Although he did not create the first indigenous South African wine grape variety (he created the second), I am quite certain that our first indigenous grape variety, which we now know was the White Cristal (kristaldruif), was likely ‘instinctively’ selected by some knowledgeable French Huguenot or his descendant 300 years ago. Microsatellite DNA analysis (a.k.a. DNA profiling) of White Crystal has revealed that it was derived as the result of a cross between Sémillon X Krystalli, the latter cultivar, being an old Greek wine and table grape variety. I don’t pick up a Perold among the original Huguenots, however, or even on the First Fifty Years or Stamouers websites. Do you happen to know who AI Perold’s ancestors were? Furthermore, according to the South African Dutch Reformed Church Registers of 1660-1970, Abraham Izak Perold’s great grandmother (Roland Perot’s wife) was Elsje Maria de Villiers (1788-1872) who was born in Paarl. In the book “Abraham Izak Perold – Wegwyser van ons Wingerdbou” it refers.to his forebears carrying the name “Perrot” and originating from Pontrieux in Brittany. Huguenot status uncertain.